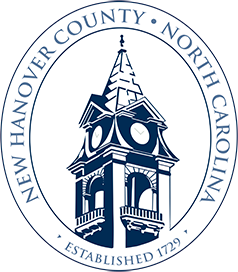 New Hanover County Commissioners have been working hard to prioritize and advocate for our county’s local legislative goals for 2019-20, and they have been working with Commissioners throughout North Carolina to set priorities that benefit all 100 counties in the state. They are working together as a board to move some important issues forward with our state’s legislature – issues that have the power to affect our citizens – and the importance of the board’s advocacy work cannot be overstated. It’s also important for our community to know about the county’s priorities, as well as those statewide goals. I’ll touch on our local priorities first, which directly benefit our county’s residents and visitors. Among those are: the desire to create a dedicated funding source to support coast storm damage reduction projects to keep sand on our beaches; pursuing legislation that increases funding for the state’s current film grant program and review existing legislation for measures that would encourage expansion of the film industry; and addressing drinking water quality through increased funding, resources and enforcement for emerging contaminants, and establishing health advisory levels for these emerging contaminants. Several of our other local priorities include: a statewide school bond; increased state funding for transportation construction and maintenance needs for New Hanover County and our region; eliminating the solid waste provisions in House Bill 56 that limit the county’s ability to effectively manage our landfill’s flow control; reinstating the state’s financial support for drug treatment courts; fully funding service requirements necessitated by “raise the age” for our court system; advocating for the state to return to the original Education Lottery formula for school capital, with 40 percent set aside; and additional funding and equitable access to high-quality childcare education. There are a lot of goals, but all are incredibly important to the well-being of our citizens and our economy. Now, onto statewide goals, which were approved at the recent North Carolina Association of County Commissioners’ (NCACC) Legislative Goals Conference, where Chairman Barfield and Commissioner Zapple attended and advocated on behalf of New Hanover County. Below are the top five NCACC legislative goals that were determined by the voting delegates. A full list of the state-wide goals can be found here. Seek legislation, funding and other efforts to expand digital infrastructure/broadband capability to the unserved and under-served areas and residents of the state. Seek additional revenue sources, including a statewide bond and lottery proceeds, to equitably address statewide public school and community college capital challenges (this is a goal our Board of Commissioners is also advocating for locally). Support efforts to preserve and expand the existing local revenue base of counties and authorize local option revenue sources already given to any other jurisdiction to all counties. Oppose efforts to divert to the state fees or taxes currently allocated to the counties or to erode existing county revenue streams. Support provision of state resources to ensure county ability to provide essential public health, behavioral health and social services – with specific consideration to the challenges of incarcerated persons, the continued county role in behavioral health governance and programs addressing substance use disorder – throughout Medicaid transformation. At the NCACC Legislative Conference, Chairman Barfield and Commissioner Zapple advocated to rebuild the state’s film industry. Because of their advocacy, film was added to NCACC’s statewide legislative goals package, emphasizing the need to increase funding for the current film grant program and encourage expansion of the film industry. Our Commissioners have met with our local legislative delegation to make them aware of our local priorities. We have added a new position on our staff to focus on intergovernmental affairs, with a focus on legislative issues. And New Hanover County will continue to advocate for you – our residents – because your well-being and success is at the forefront of all that we do.